Forming an LLC in California will help protect your personal assets from lawsuits and judgments against your business. An LLC is a legal structure that separates your business and personal assets. By not having your business in a separate legal structure, you can be held personally liable for certain debts and lawsuits incurred by the company. Forming a California Limited Liability Company does not require an attorney and you can save a lot of money if you do it yourself with the six simple steps below. Before getting into the six steps, here are a few things to know about California LLCs. An LLC has fewer formalities after formation than corporations–meaning you can focus on your business and not on meetings and paperwork. One caveat: California does tax LLCs more heavily than most other states do, with a minimum franchise tax of $800 per year. As your company’s revenue increases, the franchise tax increases. Note: don’t let the term “franchise” confuse you–even if your business is not a franchise (e.g. McDonald’s, Subway, etc. ), the term franchise refers to the privilege to doing business in California. All LLCs are required to pay the California franchise tax. Protecting your assets and projecting a professional image for your business might be worth it, but understand that having an LLC in California is more expensive than in other states. If you plan to form your LLC in October, November, or December, but will not start generating any revenue, you may want to consider waiting until the following year in January so you don’t have to pay the $800 Annual Tax twice in a few months. The first tax is due by the 15th of the 4th month after the LLC is filed and then by April 15th every year thereafter. If you file on December 1st, the tax would be due April 1st and then again on April 15th. If you neglect to incorporate your business, you could be held personally liable for business debts and lawsuits. Find out about forming a legal California Limited Liability Company and start your business off on the right track. Additionally, California does not permit foreign or domestic LLCs to perform professional services. How Much Does It Cost to Get an LLC In California? The LLC fee to file Articles of Organization in California is $70.00, which goes to the California Secretary of State. 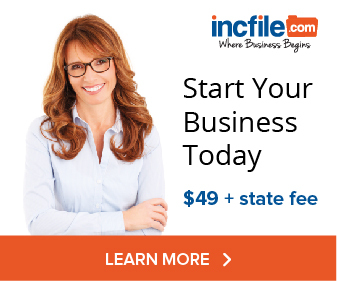 There is an additional filing fee if you send a paper form of $15. California places an additional tax on domestic LLCs based on the LLC’s worldwide income. If the majority of your income is outside the state of California, you might want to reconsider whether you should incorporate or form your limited liability company in California or in another state where the bulk of your business takes place. April 15th of every year, $800 is due for the California LLC Tax. In addition to forming your California LLC, you will need to check for California licenses and permits. Now that you have the perfect name, you want to be sure nobody else is using it as each state requires a unique name per LLC or Corporation. To check if your name is being used, visit our page to do a free California LLC name search. The registered agent must have a physical presence in California but may be an individual resident, domestic or foreign corporation authorized to transact business in California. The registered agent must also have a physical address in California and a Post Office Box is not acceptable. If the registered office includes a suite number, it must be included in the registered office address. The person named as agent must be a resident of California or a corporation that has filed a certificate pursuant to Section 1505. Provided you as the business owner have a physical presence in California, you can be the registered agent, however, there are some privacy benefits to having a third-party registered agent. This is the most important step and many people believe that you need an attorney to file. 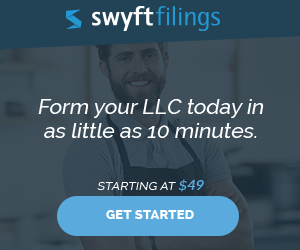 While we don’t discourage having an attorney, filing a California LLC can be done by most people, but you can save considerable money over an attorney and make sure everything is filed correctly by using a formation service such as Swyft Filings. Click to download the California Articles of Organization from the California Secretary of State’s website. An operating agreement is not required in California but is typically a good idea, especially for an LLC owned by multiple people. The primary function of the operating agreement is to govern the relationship between the owners of the business, but also outlines who makes what decisions, how profits or losses are distributed and the operating procedures of the LLC. Single Member LLC – An LLC with one member automatically becomes considered a disregarded entity, similar to a sole proprietorship with the IRS. The owner simply files their Schedule C with their 1040 at the end of the year. Filing as a single-member LLC means the entity does not pay sales tax and goes to the owner which is called pass-through taxation. The owner pays self-employment taxes on the net profit of the LLC, which while simpler to handle taxes, may be more costly. Partnership LLC – An LLC with two or more members is automatically also considered a disregarded entity with the IRS similar to a partnership and will file Form 1065. Like the sole-proprietorship as a pass-through entity, the LLC taxed as a Partnership pays no income tax and profit and losses flow to each member’s Form 1040s via Schedule K-1 of Form 1065. S Corporation LLC – To get S Corporation status, you will file Form 2553 with the IRS. What makes the S Corporation attractive unlike the sole proprietorship or partnership is that you can potentially shield some of the profits from being subject to self-employment taxes. Dividends aren’t typically subject to self-employment taxes which is a potential tax savings. There will be more work in accounting an LLC that elected S Corporation status. Each of the four ways an LLC can be taxed in California can have a major impact on the taxes that are charged depending on the business and the member’s personal finances. It’s a very good idea to work with an accounting professional to see which one is most efficient for the business and LLC members.